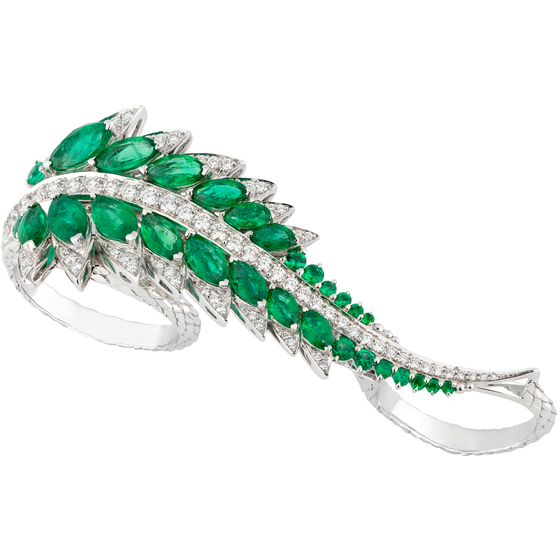 British jewelry designer Stephen Webster has teamed with Hearts of Fire, a global diamond manufacturer and crafter. 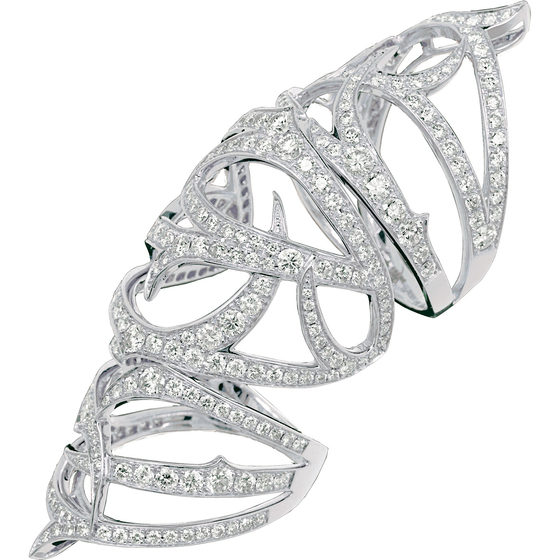 They will create an exclusive collection of diamond jewelry set to debut early year. 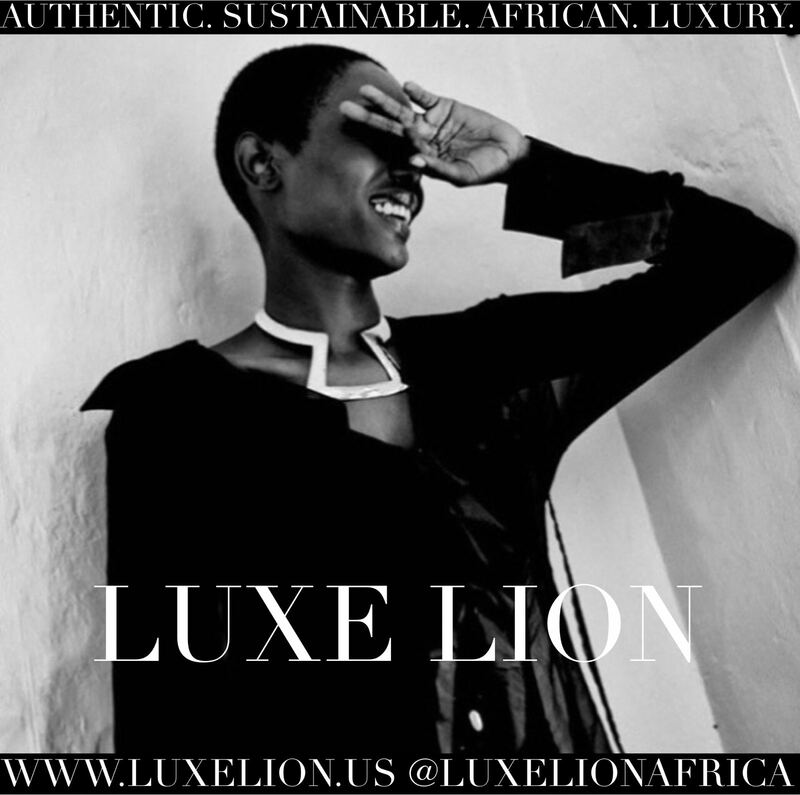 The luxury line will be available through select Stephen Webster and Heart on Fire retailers in China, Europe and North America. 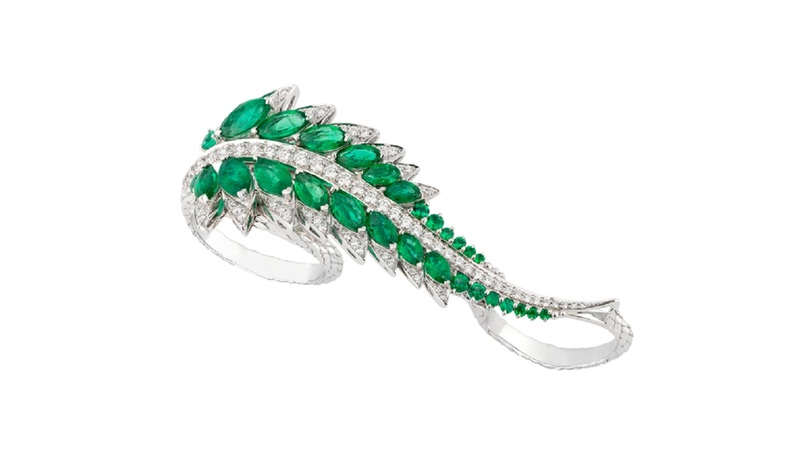 For now, you can browse some pieces that are currently available from Stephen Webster, including this Plumage Three Finger Ring in 18-carat white gold with emeralds and pave diamonds and this Long Finger Ring in 18-carat white gold and diamonds.